Nuley “Speck” Sanderson, Jr., 89, of Pink Hill, passed away on Thursday, July 5, 2018. Speck was a veteran of the Korean War, a former member of the Pink Hill Ruritan Club and a longtime employee with New W.H. Jones Company. He was preceded in death by his parents, Nuley Sanderson, Sr. and Eula Blizzard Sanderson; brothers, Harold, Cecil and Rodolph Sanderson and sister, Ercelle Squires. 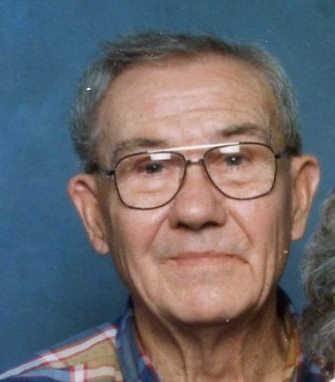 He leaves behind his wife, Catherine Sanderson; son, Darryl Sanderson; daughter, Nulette Potter and husband Dannie; sister, Linda Butts; brother, Audis Sanderson and wife, Nannie Pearl; grandchildren, Chandler Sanderson; Reagan, Zachary and Sarah Potter. Visitation will be held from 1:00 p.m. until 2:30 p.m. on Saturday, July 7, 2018 at Pink Hill Funeral Home. Funeral service will begin at 2:30 p.m. on Saturday, July 7, 2018 at Pink Hill Funeral Home with burial following at Oak Ridge Memorial Park in Pink Hill.